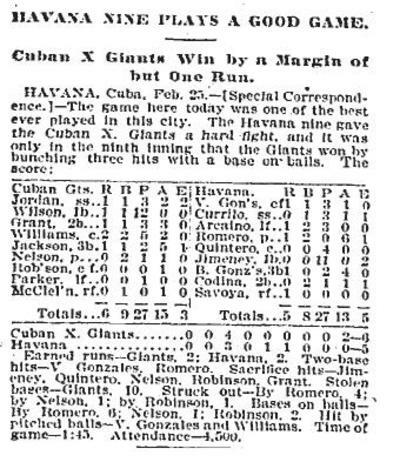 Paul Wendt has found two box scores for the 1900 Cuban X Giants’ trip to Cuba, printed in (of all places) the Chicago Tribune. This is the first time I’ve seen any boxes for that series; even Severo Nieto didn’t find any. 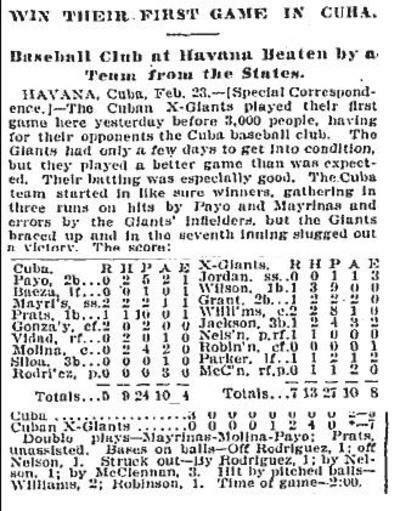 Given that someone was sending box scores to the U.S. (likely the team’s organizer, Edward B. Lamar, who also put together the 1920/21 Bacharach Giants’ trip to Cuba), it’s entirely possible they turned up in other newspapers. 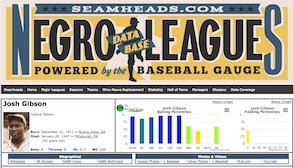 I haven’t been able to find any in the New York Times, Washington Post, or Los Angeles Times; but if anybody is doing research on the early months of 1900, you might keep your eyes peeled for any mentions of the X Giants in Cuba. 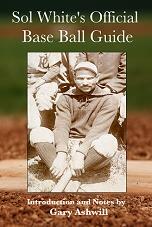 UPDATE 11:24 p.m. Paul has also established that the X Giants’ Grant is probably not Charlie Grant, who played for the Columbia Giants of Chicago at that time, but rather the veteran Frank Grant, who was based in New York.